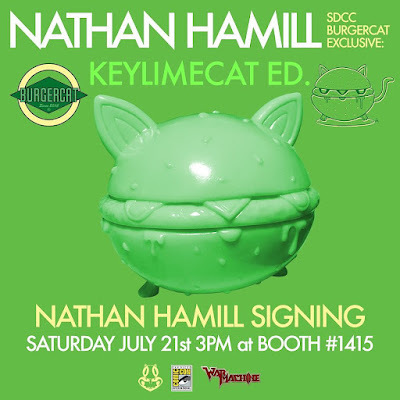 Ooh, here’s some really exciting news… we’re getting a San Diego Comic-Con 2018 Exclusive BurgerCat from Nathan Hamill and Science Patrol thanks to War Machine Marketing! 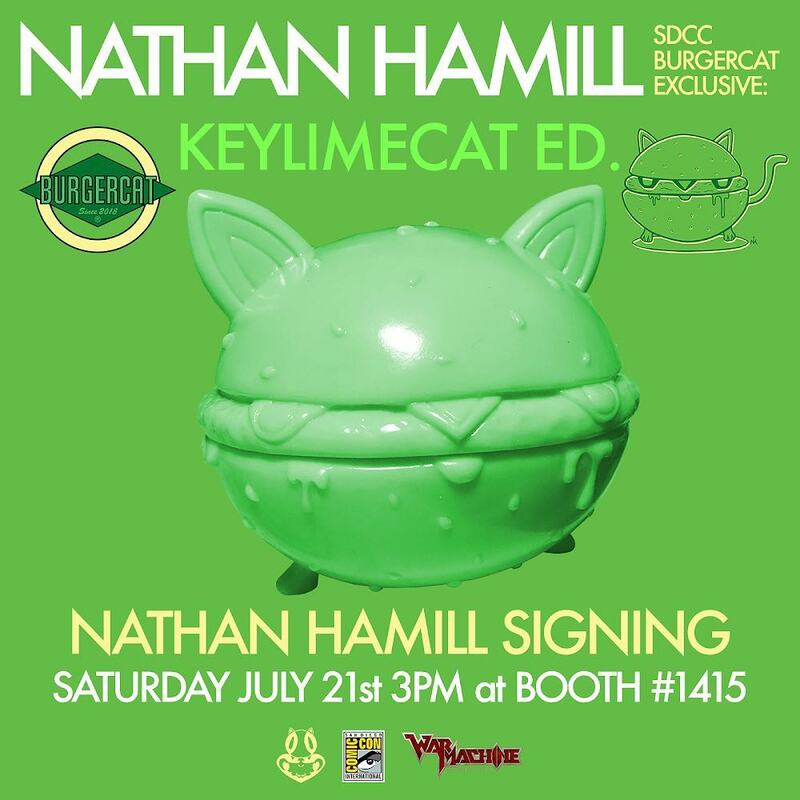 War Machine will be hosting a very special signing with Nathan at 3pm on Saturday, July 21st, at their SDCC booth #1415 where they will be releasing this adorable, unpainted KeylimeCat. 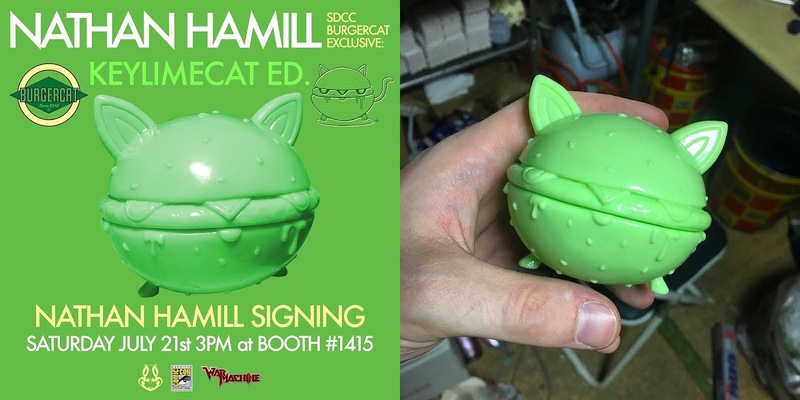 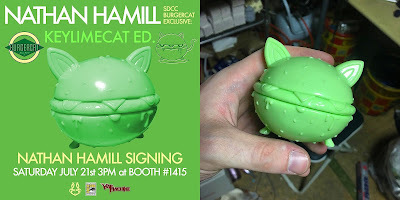 The San Diego Comic-Con 2018 Exclusive BurgerCat KeylimeCat Edition Vinyl Figure by Nathan Hamill x Science Patrol was cast in light green soft Japanese vinyl and stands 2.75” tall.